14 June 2017. While the genome editing technique known as Crispr is generating discussion in the health field, its first commercial applications are likely to be in agriculture. The 12 June issue of Chemical & Engineering News published by American Chemical Society describes the work of the company DuPont Pioneer and others with advancing applications of Crispr in agriculture. Crispr, short for clustered regularly interspaced short palindromic repeats is a technique for editing genomes, based on bacterial defense mechanisms that use RNA to identify and monitor precise locations in DNA. 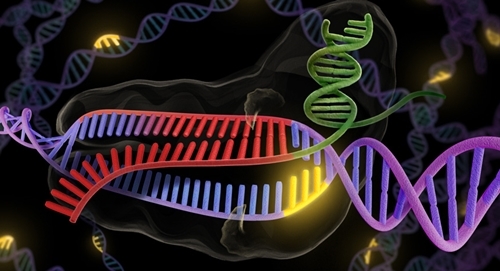 The actual editing of genomes with Crispr in most cases uses an enzyme known as Crispr-associated protein 9 or Cas9. RNA molecules guide the editing enzymes to specific genes needing repair, making it possible to address root causes of many diseases, but also adjust traits in plant crops by removing or changing specific genes. Crispr, says Bomgardner, not only makes genetic modification faster, simpler, and in some cases less expensive, it can also make it easier to take advantage of a plant’s natural diversity and variations, thus potentially reducing the need to import genes from other species. The result, adds Bomgarner are more efficient tools for improving yields of crops as well as, resisting disease, tolerating drought, and boosting nutrition and taste. An early Crispr-based agricultural product, however, may be one that’s never served for dinner. A lead product in DuPont Pioneer’s pipeline is a variety of waxy corn with a high content of the compound amylopectin in its kernels. Amylopectin is one of the 2 components of starch, along with amylose, but amylopectin is more soluble in water than amylose. Thus increasing the content of amylopectin increase’s the starch’s solubility, thus making it a better candidate for food thickeners and paper adhesives. With Crispr, DuPont Pioneer deleted the waxy gene from the corn genome, yielding a variety with 97 percent amylopectin, instead of 75 percent found in ordinary corn. The company says it usually takes several years to achieve these results with traditional breeding, but it started its Crispr program in only in 2015, in a licensing deal with Caribou Biosciences, a company founded by early Crispr researcher Jennifer Doudna at University of California, Berkeley. The article gives other examples of R&D programs using Crispr to improve oil yield in canola and fiber strength in cotton. But food lovers will appreciate research with Crispr at Cold Spring Harbor Lab to develop a better tasting tomato.